The Big Font bundle that is available in Feb would be great for web designer. There are some outstanding deals available for each month, where you can pick the right graphic. Packed full of more than 32 fonts (and a whopping seven bonus fonts!) as well as 20 graphics packs. All of this for a huge discount of 98% OFF retail value! With some truly spectacular fonts and awesome illustrations. As always a complete licence is included, so have fun and enjoy. Modern typeface is something that can be extremely popular with a lot of people. The modern calligraphy could give young people the inspiration they need to become graphic artists. 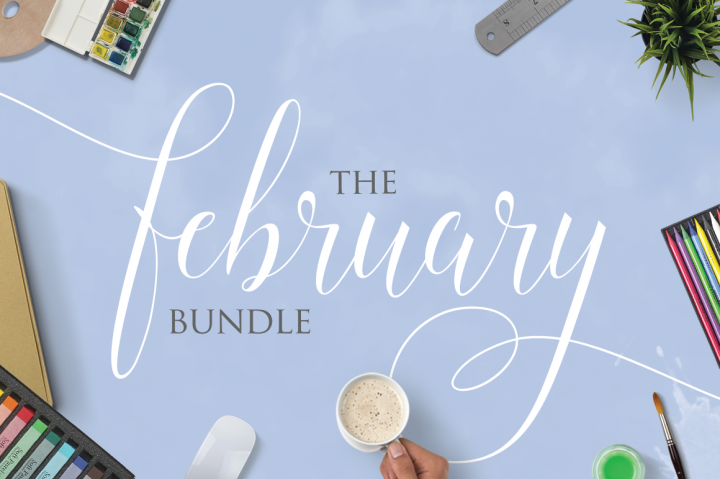 The February Bundle is there for people that enjoy either modern or classic graphics. It is possible to save hundreds of dollars by looking into this bundle. A retail business that is looking for a way to attract new clients can benefit from the development of these great graphics as they impress clients. Quality graphic design can really impress people.